BDS Technologies, LLC has announced plans to develop a manufacturing operation in Laurens County. BDS has already broken ground on its new facility at a 12-plus acre site in Hunter Industrial Park and is scheduled to be in production by the end of 2019. The company is investing over $17 million and is expected to generate 44 new jobs. 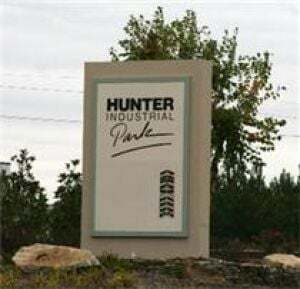 This is the long-anticipated identification of Project Gator, a business entity that has been working with local government to prepare for quick preparation of a manufacturing facility in Hunter Industrial Park. Laurens City Administrator Gary Coleman confirmed that BDS was the Project Gator client on Friday morning. Laurens City Council conducted special meetings, one on Aug. 31 for first reading and the other on Sept. 7, for passing into law a sale of the land through the Commission of Public Works. The quick government action emphasized a need for haste in meeting the time frame required by the business, which ended up being BDS Technologies. The resolution passed at the LCPW meeting on Sept. 10, the sale-price agreement was listed as $15,000 per acre. In the span of a month, the plant site moved in ownership from the City of Laurens to CPW to the representatives of Project Gator, or BDS Technologies. Originally, the announcement was expected in October 2018.